Here we go! Its time to get ready for the 2019 season and we are anxious to equip you with the tools you need to succeed. Get a jump start on your pole vault technique for 2019 by joining us for this all inclusive camp. Learn the techniques that have proven successful for multiple State Champions and college All Americans. 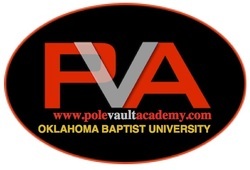 The Pole Vault Camp Release Form must be downloaded & printed out. The release form must be turned in when you arrive for camp.